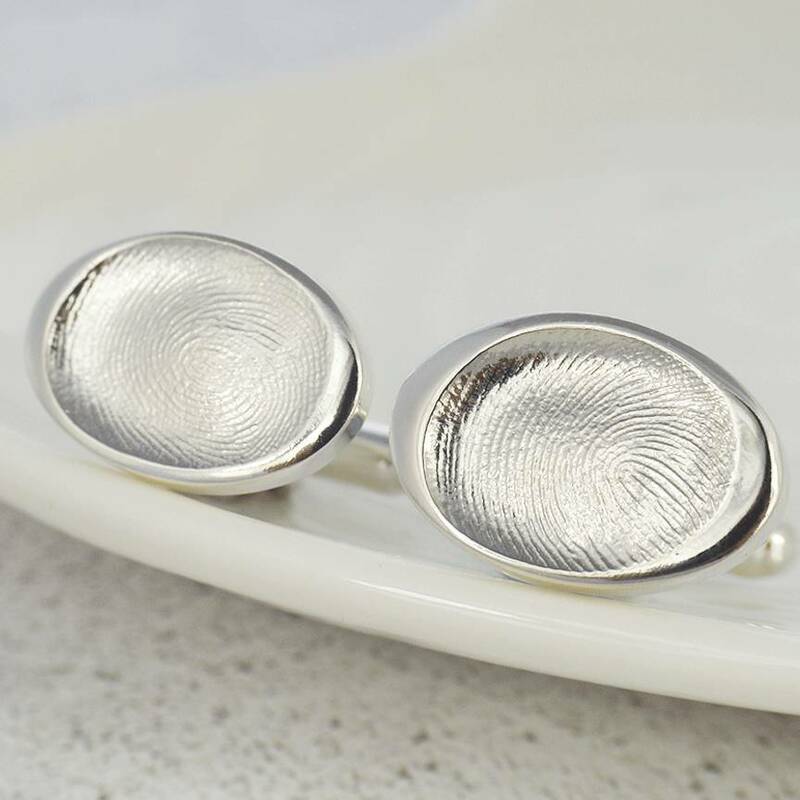 Stunning fingerprint cufflinks, expertly cast in sterling silver, capturing his loved one's unique fingerprints forever. A perfect gift for him. These classic fingerprint cufflinks will capture your unique fingerprint in exquisite detail, plus a short personalised message can be engraved on the back of each cufflink. 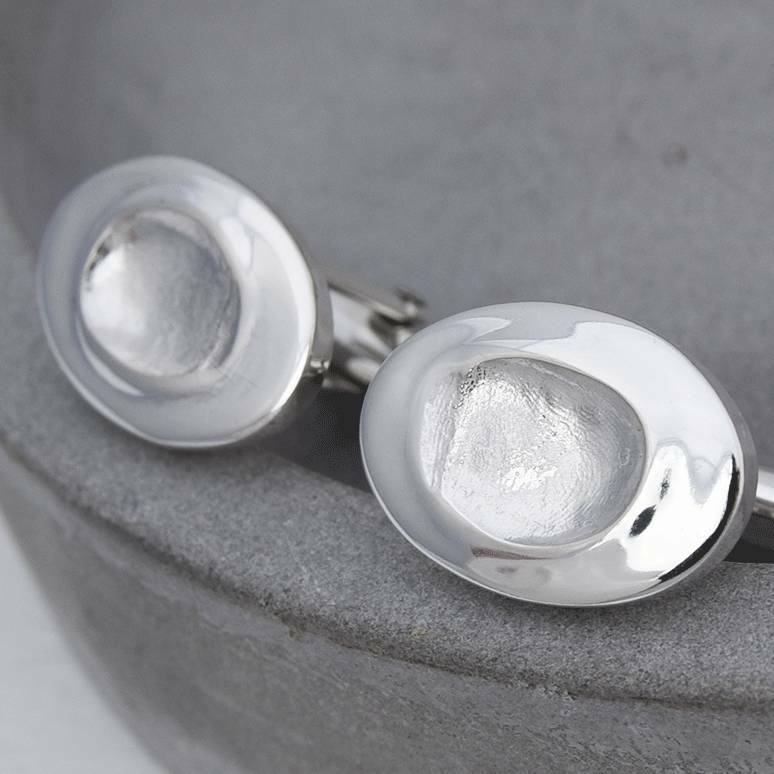 A perfect way to commemorate a loved ones, the cufflinks arrive beautifully presented in a gift box, complete with your original moulds. 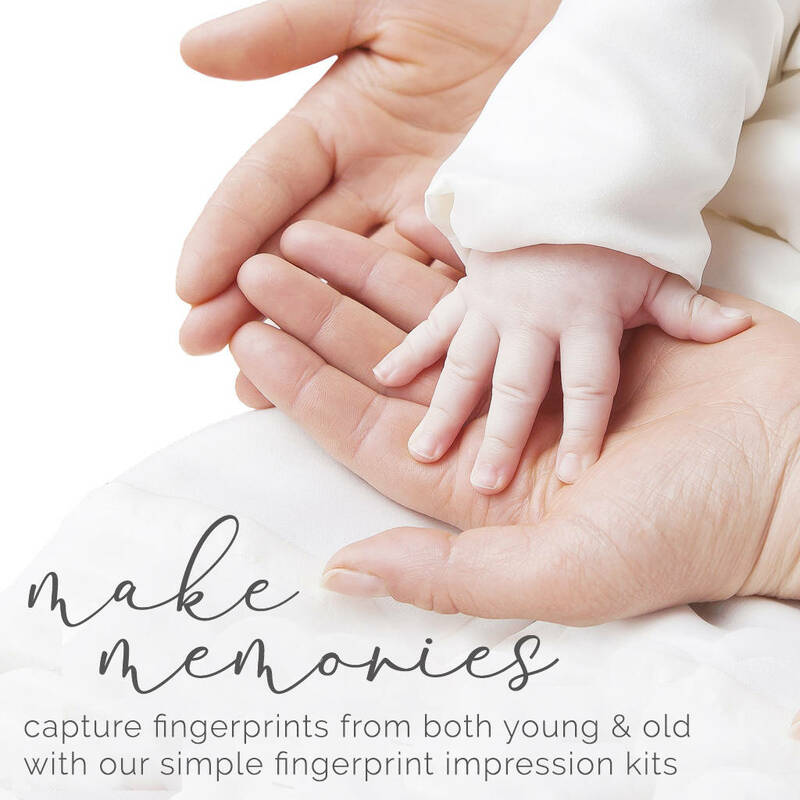 We can provide a simple kit so you can capture your fingerprints at home, then simply return your prints in the reply-paid envelope and we will make your unique jewellery. We can work with prints from people of any age although please keep in mind that prints from young babies tend to have little detail. We need approximately 6 weeks to make this piece, so if time is short, or if you won't be able to take prints without spoiling the surprise, then select our Gift Boxed Print Kit. 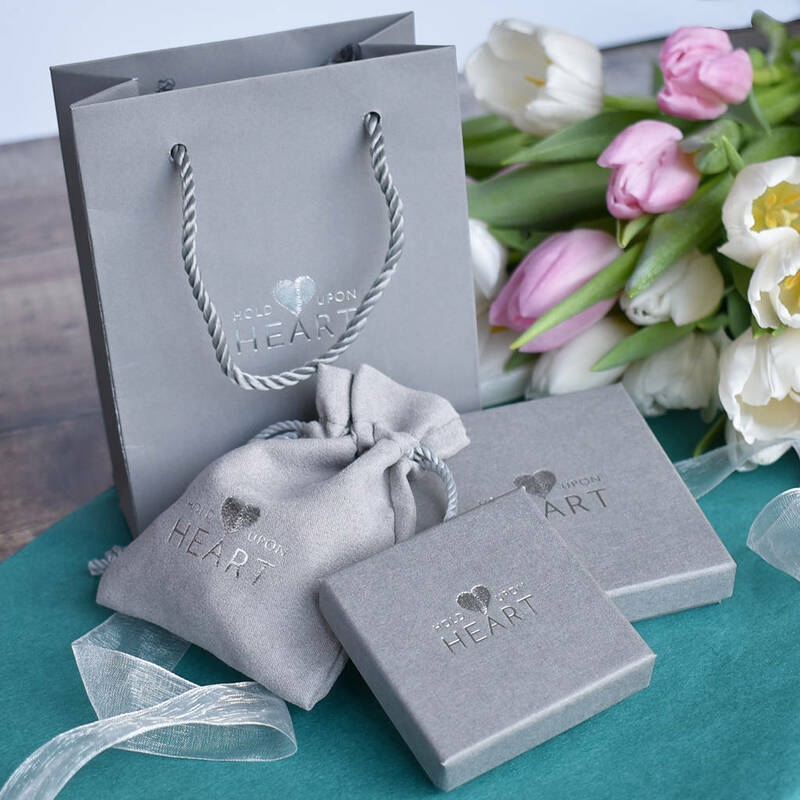 Our gorgeous grey and silver gift boxed kit contains everything needed to capture fingerprints, and also includes a gift certificate with a colour photo of your chosen gift. This means the lucky recipient will know exactly what will be made for them once they send us their prints, plus they get to enjoy the print taking experience themselves. approx. (h) 20mm (w) 14mm (d) 2mm. 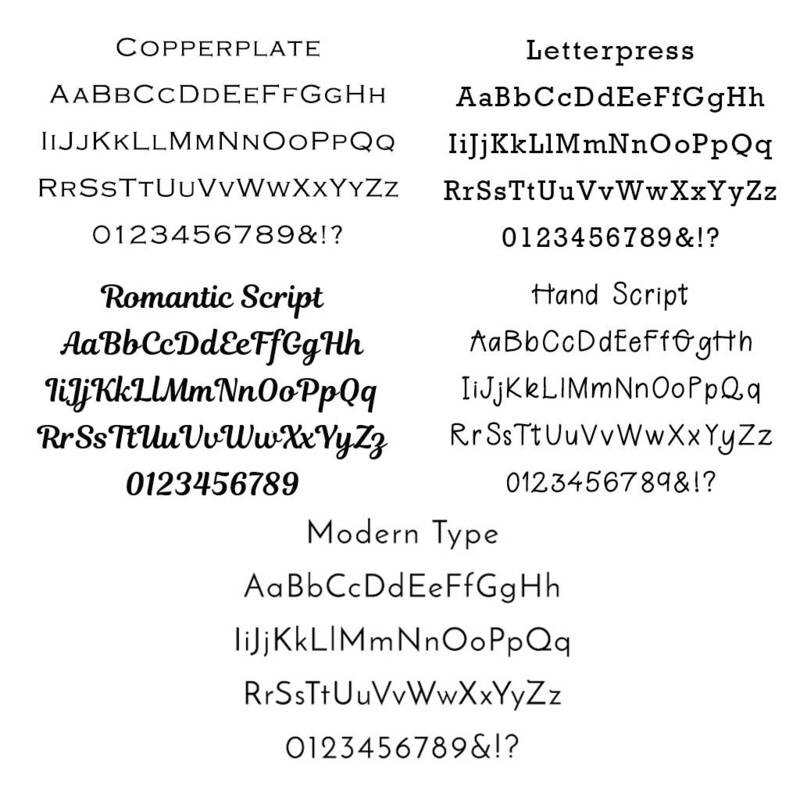 The "get it by" date assumes that prints will be provided when placing the order. If prints are provided after the order date then the estimated dispatch and delivery dates will be updated to reflect the lead time of approximately 6 weeks for this item. This item is traditionally lost-wax cast to order, which produces the most beautiful results, but which is a complex and lengthy process. 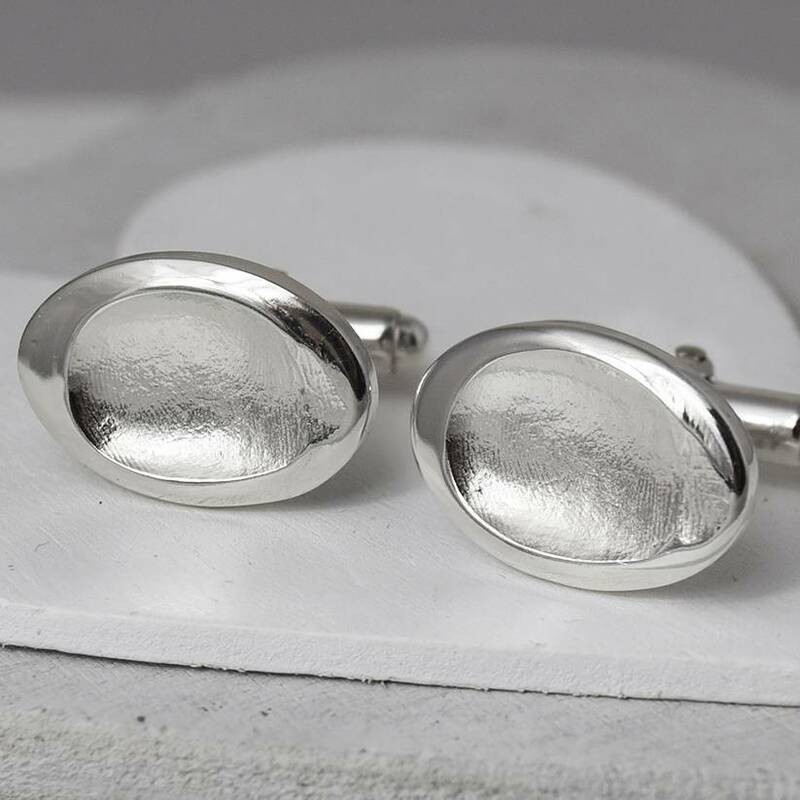 Unfortunately it is not possible to shorten the estimated 6 week lead time, however the superior quality of our fingerprint jewellery will definitely be worth the wait. 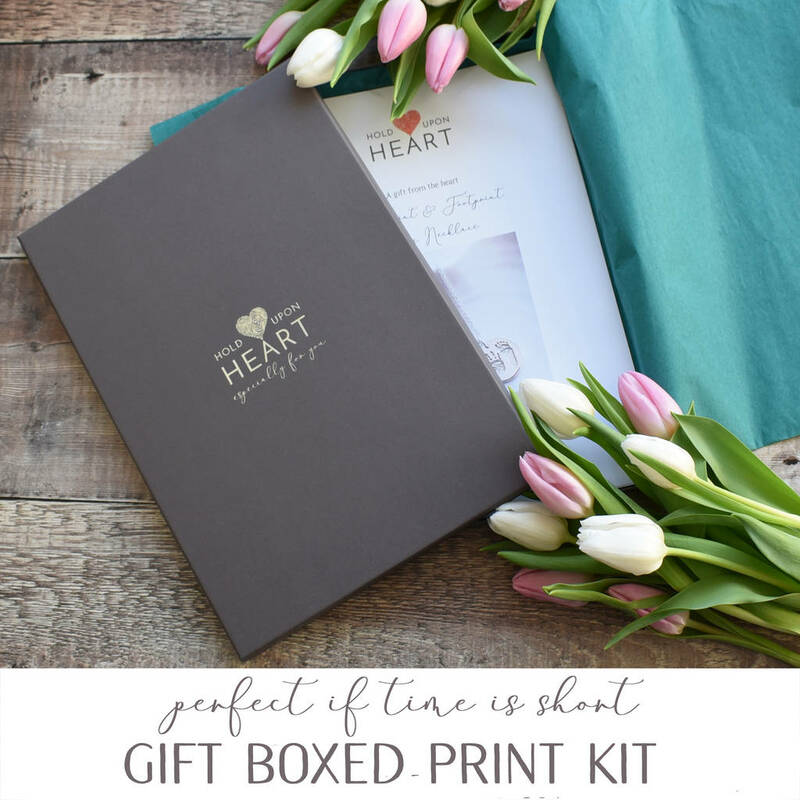 If time is of the essence we recommend upgrading to gift boxed print kit.